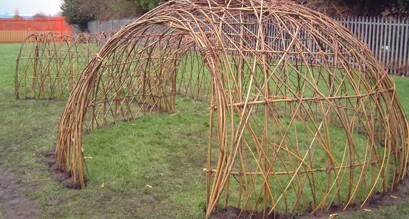 WILLOWPOOL DESIGNS started life with Steve Fuller as Hedgerow Baskets based in Longtown, Cumbria almost 30 years ago. Steve later moved to Canonbie, Scotland near to a famous fishing pool called willowpool on the river Esk. The business evolved into Willowpool Baskets as many of Steve’s willows were gathered from beside the river. When Steve and Simone began working together Willowpool Designs was born! Steve and Simone live in the Lake District near Kendal in Cumbria and work throughout the UK. Recent basketry related trips have been to Hungary and Cyprus. 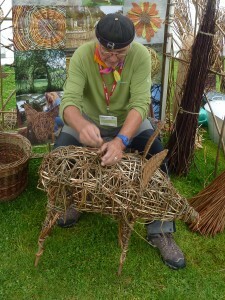 Steve Fuller has been making baskets and working with willow for over 35 years. 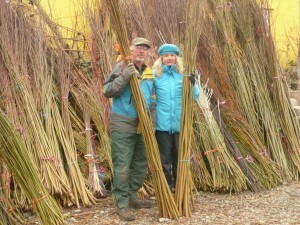 Steve has been growing willow and teaching courses for many years. Simone Siegan is a jewellery & glass bead designer who began working in willow 10 years ago. 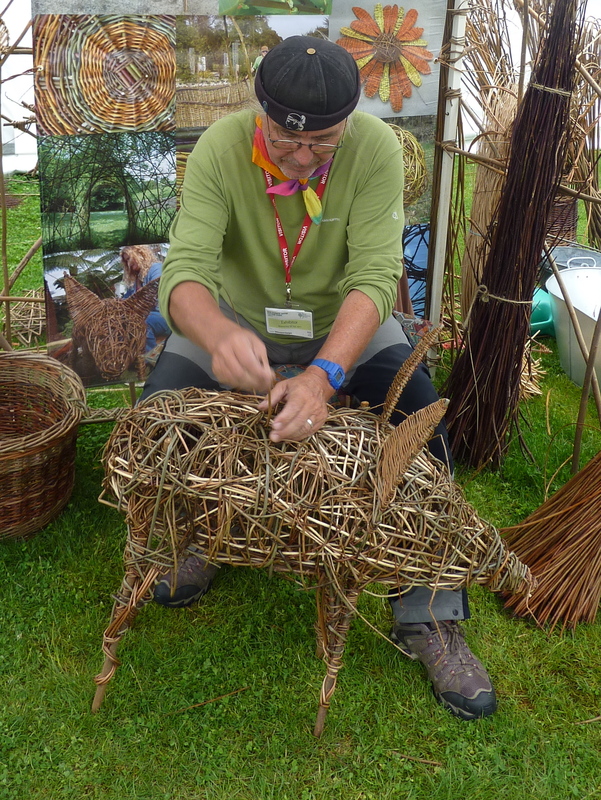 Simone specialises in creating animal sculptures & garden products from willow. Simone still manages to create some of her own unique jewellery using wiring and semi-precious stones and exhibits at the Brewery Arts Centre, Kendal. We work closely with garden designers and worked on the Gold Medal winning ‘Cumbrian Fellside Garden’ with Kim Wilde at the Chelsea Flower Show in 2005. We are happy to travel anywhere in the UK to run an event.